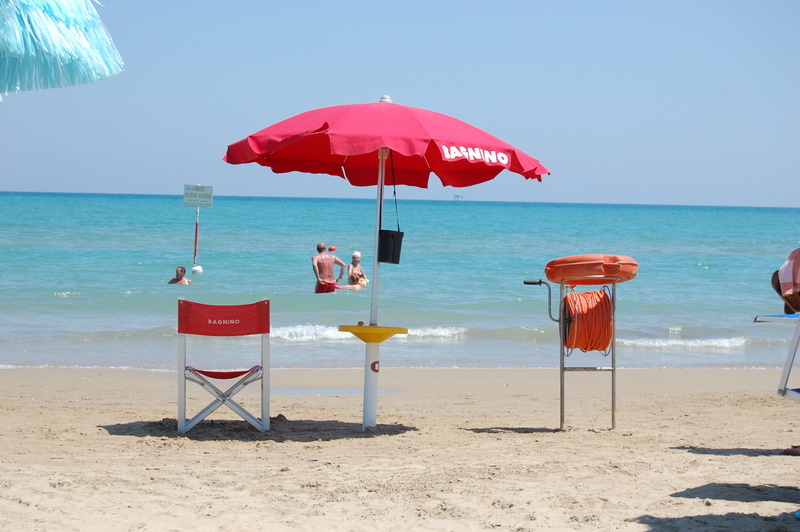 Abruzzo Beaches are known for its beautiful Blue Flag beaches. 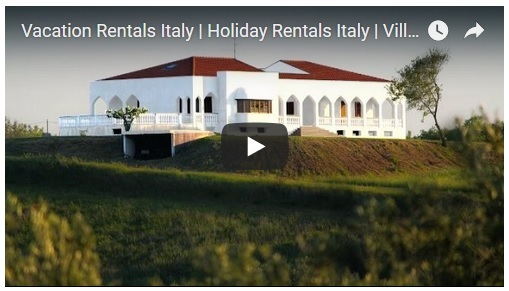 The vast Adriatic beach coastline of Abruzzo Beaches takes around a 10-minute drive to reach from our Abruzzo villa rental where you can enjoy a swim and unwind in one of the many beach cafés. 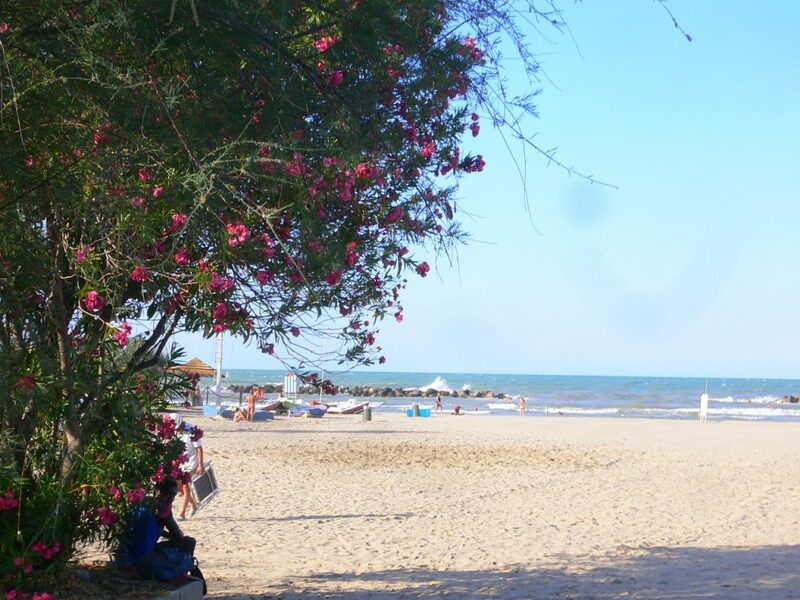 There are both private and public beaches in Abruzzo – all with their own unique personality and character. 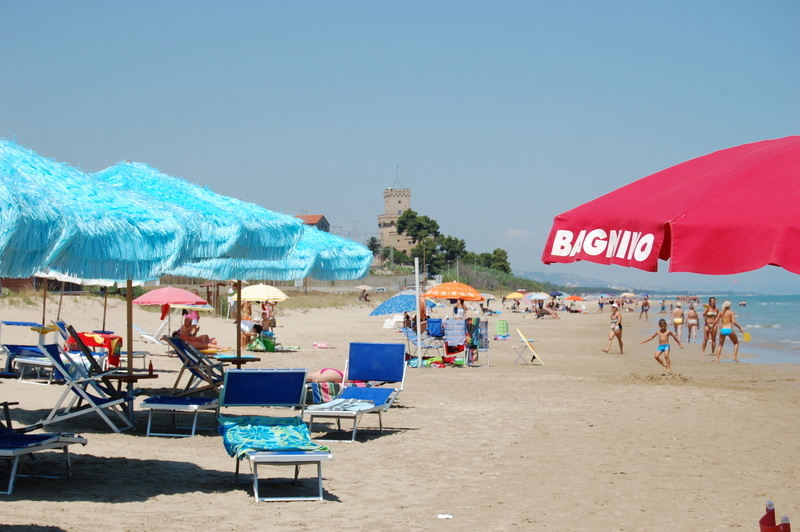 Abruzzo is amongst one of the regions that boasts some of the highest number of “Bandiere Blu Spiaggie” (Blue Flag beaches) in all of Italy which mean that the beaches in Abruzzo are competing to maintain a very high standard and an environmentally sound coastline. The Adriatic coastline of Abruzzo stretches over 130 kilometres which means that there is definitely a beach for you as there are so many beaches in Abruzzo that will satisfy your needs: from the trendy beaches of Pescara centro to the natural surroundings of Torre di Cerrano surrounded by pine groves. The beaches of Abruzzo also turn into venues for evening entertainment and serve amazing food (of course sea food is also on the menu) and each beach “stabilimento balneare” will have it’s unique charm and theme. 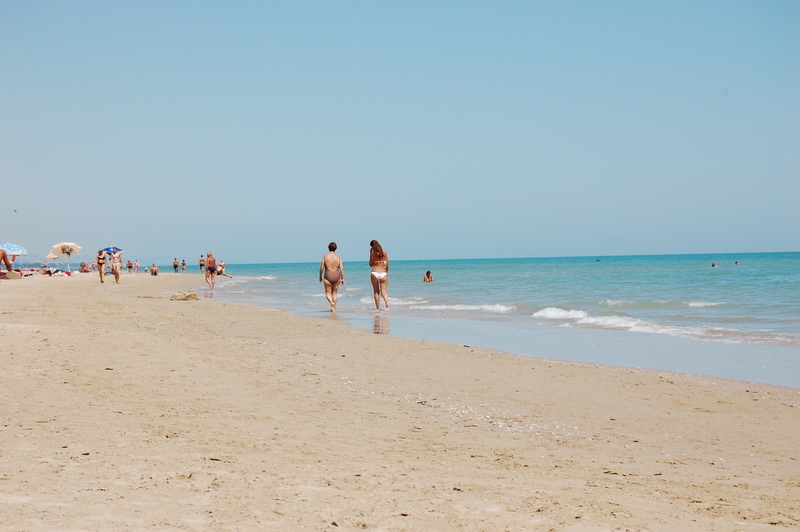 Compared to the rest of the Adriatic, the beaches on the Abruzzo are special – it is one of the few countries in the world where you can ski in spring and go for a swim in the afternoon. 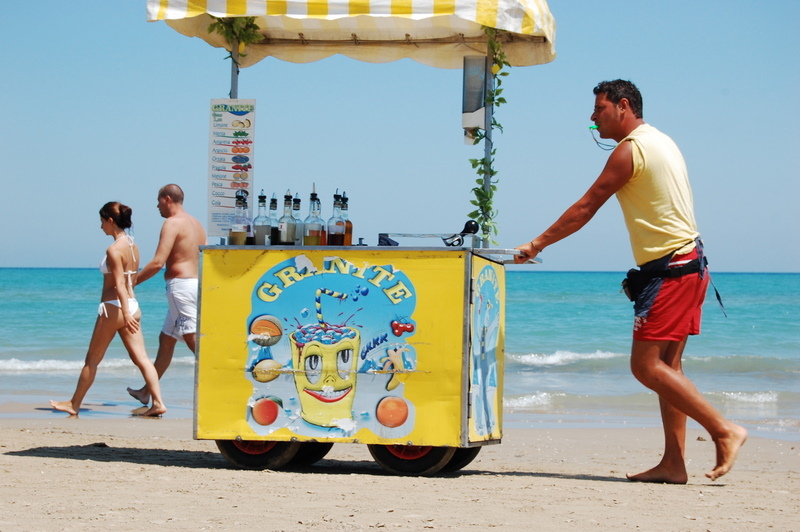 What’s more some of the beaches of Abruzzo will have views to rolling hills, and Abruzzo towns and the mountains. 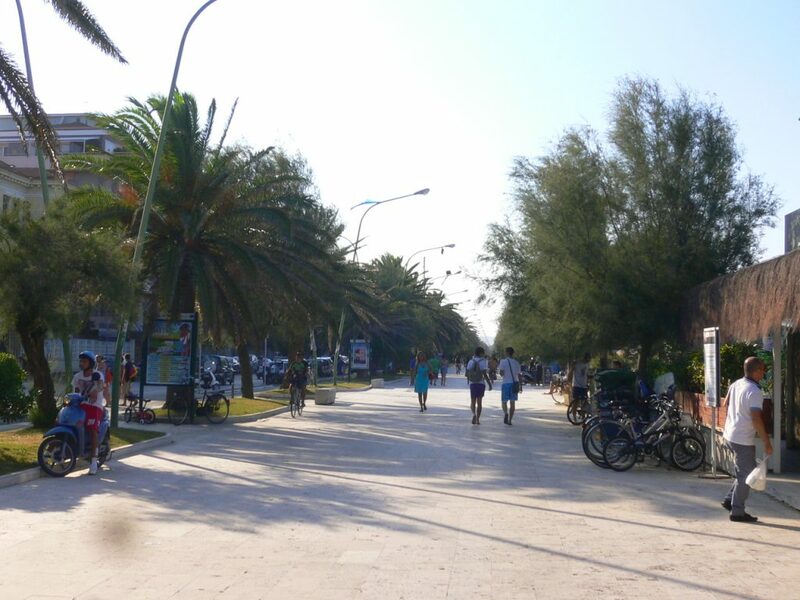 Pescara beaches are arguably the best beaches in Abruzzo – each of the beaches have their own style of restaurant and atmosphere to offer. If you are looking to find a more quieter beach, then the beach of the Torre di Cerrano is amongst the natural of all Abruzzo Beaches. 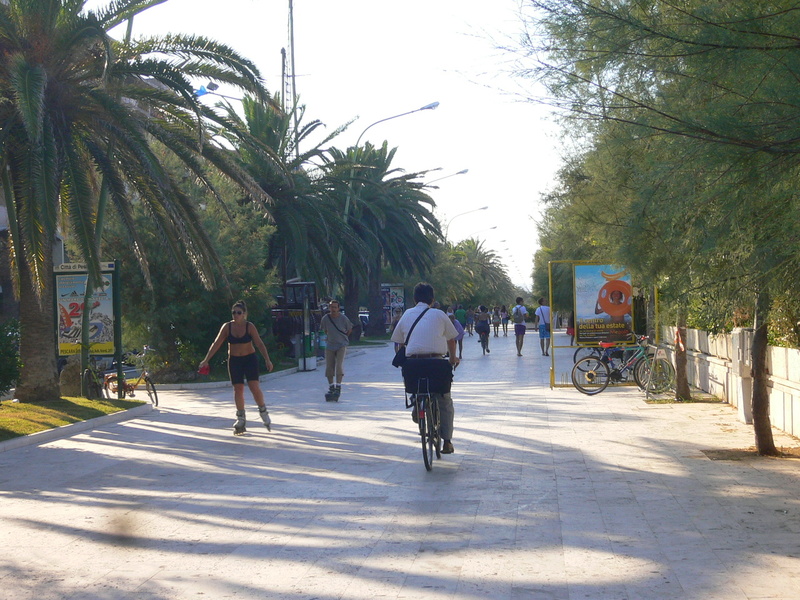 There is also a pine forest just before the beach where you can stroll under the shade and cool breeze.